Around the UK Chip Chip has regional depots producing high quality force dried wood chip. Here is a picture of one of our drying bays at Chip Chip Nottingham. This depot was one of our first depots we established on our exciting journey to become one of the UK’s leading force dried wood chip suppliers. Every week we receive lots of calls from all round the UK from companies that are not happy with their current suppliers down to inconsistent fuel quality. 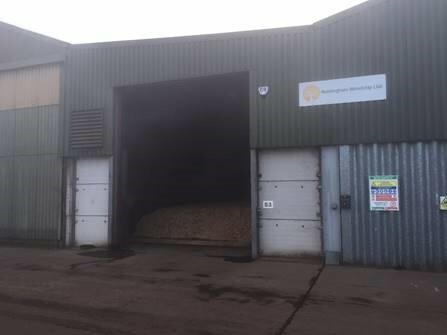 Our unique drying process ensures that all our customers receive a guaranteed 20% moisture content wood fuel (+/- 2%) that ensures they get the best performance from their biomass boilers.